I need to go camping this year. When Lauren went away to college, scheduling our Christmas tree expedition became an annual dance with every family member’s calendar. Now that she’s home, the family’s schedule is much easier — which meant getting Lauren’s new niece to the Christmas Tree farm was very important this year! The tiniest things can become traditions. And with children, those tiniest things are supremely important. When we drove 32 miles to St Joseph (which was a big deal in my small world growing up), we usually stopped at the Dairy Queen in Savannah for a treat. Nobody makes banana splits like those anymore! When Velda and I were dating, we had a booth that we had to sit at when we went to our favorite bar restaurant, The Heidelberg. It happened to be booth # 13 … one of many 13s that followed us through our courtship … until we were married on May 13. Christmas mornings were a time of wonder for our young family. The Christmas tree was very lonely in our living room … until Christmas Eve night, when Santa delivered all of the presents after the kids went to bed! Bedtime was negotiated fiercely every year … and the time kids could venture downstairs Christmas morning was also negotiated! Why are traditions so important? Traditions are comforting, like a chair that is just right for you. We like repetition, and it can make us feel very good when we know what’s coming. The anticipation of familiarity is very satisfying. We want things to be just like we remember them. We want to control our environment so that we can make it predictable. Legend has it that Baden-Powell would always take a small amount of ashes from a ceremonial campfire and then spread these ashes into the next campfire. The main purpose of these ashes is to share with you the memories of past campfires and to bring all Scouts and Scouters together in the world brotherhood of Scouting. Every time I used that ceremony, it was an emotional, memorable moment. Traditions work. People who share in a tradition are connected. There’s a reason that families use Grandma’s silver at holiday meals. There’s a reason that going out to dinner when a family member has a birthday is important. Those memories tie us together. Sharing life’s memories together fills us with warmth and happiness. Build some memories with your family, extended family and friends. It could be going for a walk on Saturday mornings, the family lunch after church on Sunday, or sharing opening day of baseball season with your buddy. It could be anything. And it will be a treasured memory. One tradition I’ve seen repeated at several nursing school graduations is the lighting of candles to commemorate the sharing of knowledge. Here, shared by the Antelope Valley College nurse graduates, December 2012. My favorite part of this picture is the glow of the various cellphone and camera screens from the audience at the bottom of the pic! 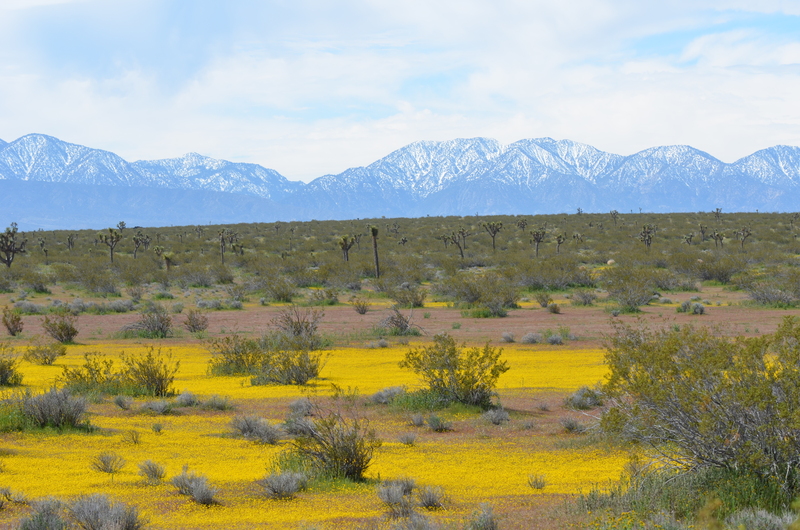 The beauty of the Antelope Valley in the spring. The snow-capped San Gabriel mountains are in the background; Mount Baden Powell is the tallest peak. A flower called, appropriately enough, goldfield, gives the golden color which is broken up by red stemmed filaree. Creosote bushes are in the foreground; small joshua trees are in the distance. April 5, 2011.